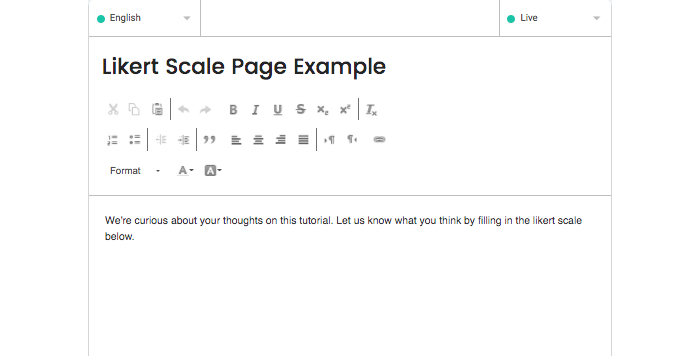 In this tutorial you will learn how to add a Likert Scale page. A Likert Scale page is very useful when you want to measure a user’s attitude or opinion. It’s one of the most popular (and reliable) ways to do this and consists of a series of statements about a topic. By default, the user can indicate to what extent he/she agrees with the statement by choosing a number between 1 and 5. Where 1 stands for “Totally disagree" and 5 for "Totally agree". Step 4. Choose ‘Likert Scale’ in the menu on the left and click on the grey button that says ‘Add page’ in the bottom right corner. Step 6. Give your new Likert Scale page a name. Click here for a guide on choosing a good name for your page. Step 7. Pages are set to ‘live’ by default but can be set to draft. 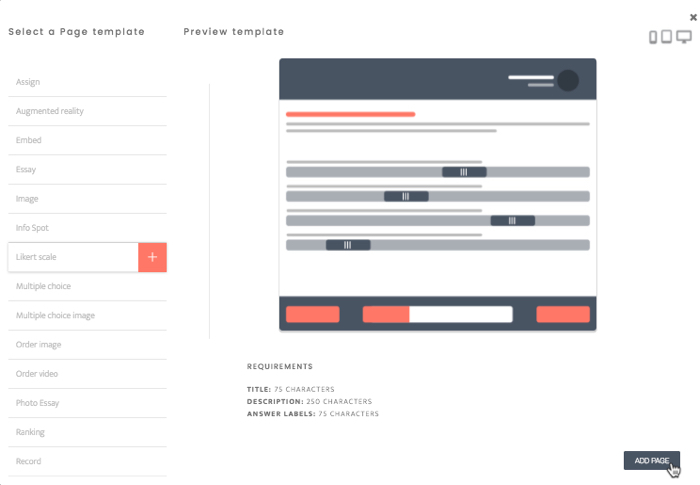 Draft pages can be very helpful when you’re working on a page while new hires are already using AppicalNow. Click on 'Live' and select 'Draft' to change te setting. Step 9. Click on add answer and type your question in the text field. Step 10. The text that you type at 'Explanation' will show up after the user confirmed their answer(s). You can thank them for the feedback or his/her opinion for example. Step 12. 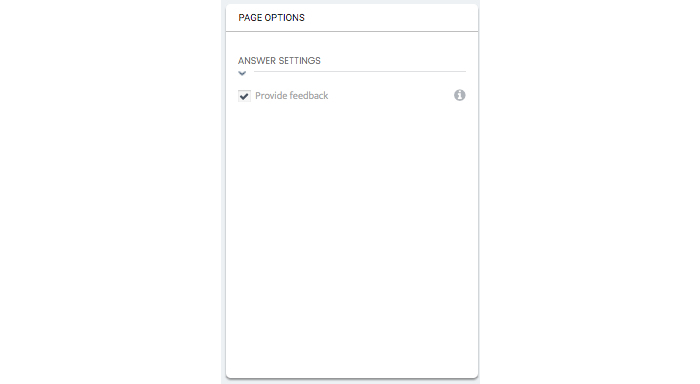 At Page Options you are able to configure answer settings and advanced settings. If you click on ‘Answer Settings’ a drop down menu will show 1 option: Provide feedback. If you select the checkbox at ‘Provide Feedback’ the user will receive feedback after this question. If not, the user will proceed to the next question without any feedback. Step 13. 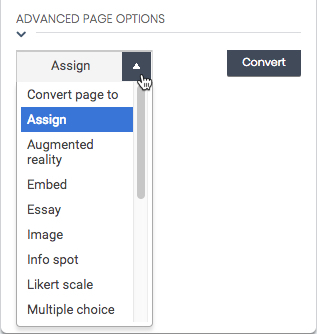 At 'Advance Page Option's you can convert your page into another page type. 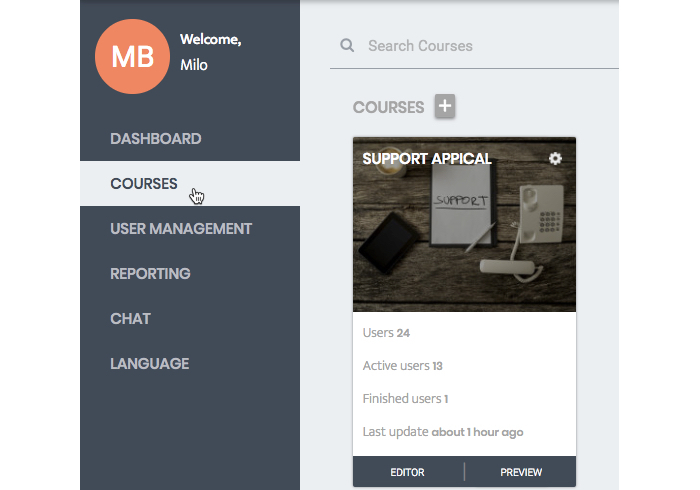 It will keep the fields that are used in the converted page (Title, Description, Explanation, Correct/Incorrect Feedback and Info Button).